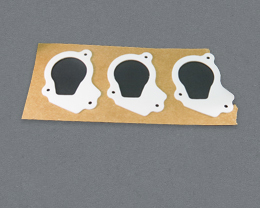 Custom Foam Gaskets Chicago - Foam Seals | Foamcraft USA, LLC. A gasket is a sponge rubber seal which fills the space between two or more mating surfaces, generally to prevent leakage from or into the joined objects while under compression. All these materials are available with pressure sensitive adhesives (PSA) on one or both sides and can be coated and sheeted for our customers own fabrication. We will work per your drawing or sample you to discover the best gasketing material for your specific application.